Addictive games come in many forms and so any attempt at ranking them is ultimately subjective. What is exciting and enthralling for one teenager may cause another to be sick to his stomach – literally (just try to play “Fortnite” for more than a few hours without having to lie down). In the MMORPG category, two games emerged in the early 2000s and became known for their immense popularity: “World of Warcraft” and “Everquest.” Many millions of players enjoyed these games in moderation, but for others, an addictive pattern of behavior emerged as they became hooked on the vast alternative reality offered by these games. With tens of millions of registered players all over the world, Blizzard Entertainment’s “World of Warcraft” (WOW) was sometimes referred to as “World of Warcrack” in reference to its addictiveness. This game has something for every type of player – fantasy, fighting, playing together, or playing alone. 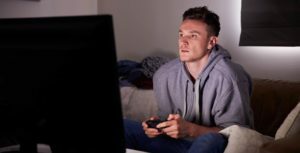 Teenage boys, in particular, are motivated to play for hours on end in order to get to the higher levels of the game, where they can earn better armor, equipment, and WOW gold. The game is so ubiquitous that the animated comedy show “South Park” produced an episode parodying its addictive nature. “Everquest,” sometimes disparagingly called “Never-Rest,” is the granddaddy of all MMORPGs, first released in 1999. In blog after blog, gamers said the addictive nature of these games comes not just from the variety of gameplay, but from the ever-changing nature of the game. There is no “winning” the game and therefore no definitive end. There is no ultimate goal. Reaching the highest level in the game requires hundreds of hours of playing time, and right when a certain character level has reached its max, the game changes! Many players use multiple characters, trying on different roles and weapons. Around the same time, other popular multiplayer games contested online through a game console like PlayStation or Xbox came to prominence. Lovers of “Halo 3,” released in 2007, referred to their addiction as “Halodiction.” Bloggers have boasted, or bemoaned, 19-hour stretches of Halo play. Lovers of the game pointed to the groundbreaking graphics and sound, saying it’s like starring in your own movie. What differentiated this type of console game from the others is that there is an end to the game. At some point, after many, many hours of play, the gamer does reach a final level. But in the multiplayer, online mode, the variations are endless and many went back, again and again, to the hook of enjoying the popular first-person shooter format. Of course, gaming addiction pre-dates the modern console and specialist gaming computer era. In the distant past games like Tetris and Solitaire were proving that simplicity doesn’t necessarily prevent compulsive playing habits. The games may be primitive, but also can be very addictive, particularly because they often are found on cellphones and pre-installed on computers. This allowed individuals to play anywhere, including at work or in school. The immersiveness and sophistication of video games continue to reach new heights and the social aspect of gaming is ascending to an even greater level of prominence. What was once a very individual endeavor, a huge number of console gamers now opt for titles that revolve heavily on competing with other players around the world remotely. The popularity of titles like “Fortnite” and the online version of “GTA V” is driven in large part by the fun and unpredictable nature of pitting your skills against other gamers and communicating in real-time with rivals through specialist headsets. Parents seeking help for their children are now increasingly citing fears regarding the content of the unmoderated audio chats players can engage in while competing. This is often foremost in parent’s minds because they have very little way of controlling what (and with whom) their children interact. Although these games arguably contain a social element, like social media platforms there is concern that building relationships that exist exclusively online can erode real world, face-to-face social skills. New technology facilitates “socializing by proxy,” in which individuals can chat and engage with others without ever leaving the bubble of their own home or interacting with peers in traditional settings. Experts fear that this may hinder social development and reduce the quality of an individual’s real relationships with family and friends. Live streaming has also emerged as a formidable part of the gaming industry in its own right. Platforms like Twitch, acquired by Amazon in 2014 for around $1bn, now attract a daily audience of 20 million users. Many gamers now spend hours watching others play without picking up the controller themselves. Popular “streamers” tend to provide either entertaining commentary or be highly skilled at the game in question. No-one can predict with a high level of certainty what the future will hold for gaming and indeed gaming addiction. Although virtual reality (VR) gaming has enjoyed media saturation in recent years, we have seen supposedly revolutionary technologies come and go in the past without having the type of impact that was predicted in their nascent stages. However, certain trends can be observed and extrapolated. Gaming mechanics, soundtracks, graphics, and storytelling have seen continual improvement through the years and continue to reach new heights in titles such as “Red Dead Redemption 2.” It’s therefore reasonable to predict that game developers will continue to invest vast sums in developing best-selling titles that offer a hugely compelling experience for the gamer. Google recently announced its bold foray into the gaming world with the announcement of Stadia. The platform combines elements of cloud computing and social sharing to offer an innovative new way of playing. Rather than using a console or a high-powered computer, Google’s service will combine a new controller with the existing computer, phone, or TV of the player. By offloading the bulk of the processing power needed to handle sophisticated games to cloud servers, Stadia will allow gamers to enjoy high-level experiences on lower powered devices. Google are also striving to promote YouTube as a destination for high-quality gaming content and live streaming. Therefore, in a move possibly designed to rival Twitch, Stadia controllers will include a button that shares content to YouTube automatically. Meanwhile, sales numbers are increasing for the VR headsets offered by companies including Facebook-owned Oculus, Sony, and HTC. 1.9 million headsets were sold globally in the third quarter of 2018. However, other analysts have pointed to weaknesses in demand for VR technology. While VR still makes up only a small segment of the gaming market, it is likely to continue its growth as the technology becomes more affordable. Improvements in the quality of headsets and the playable gaming titles will also boost the industry moving forward. There is a multitude of gaming platforms available to users today at a variety of price points. They are easy to access and offer highly engaging experiences and these trends are inevitably raising fresh fears of addiction and compulsive play. What Makes a Video Game Addictive? Why Won't My Child Stop Playing Video Games?